The Fun-O-Meter needle is topping out on this one! I spent the day in blacksmith mode, customizing this full sleeve of armour. I drew most of the design directly on his arm in order to maximize fit and flow within the design. 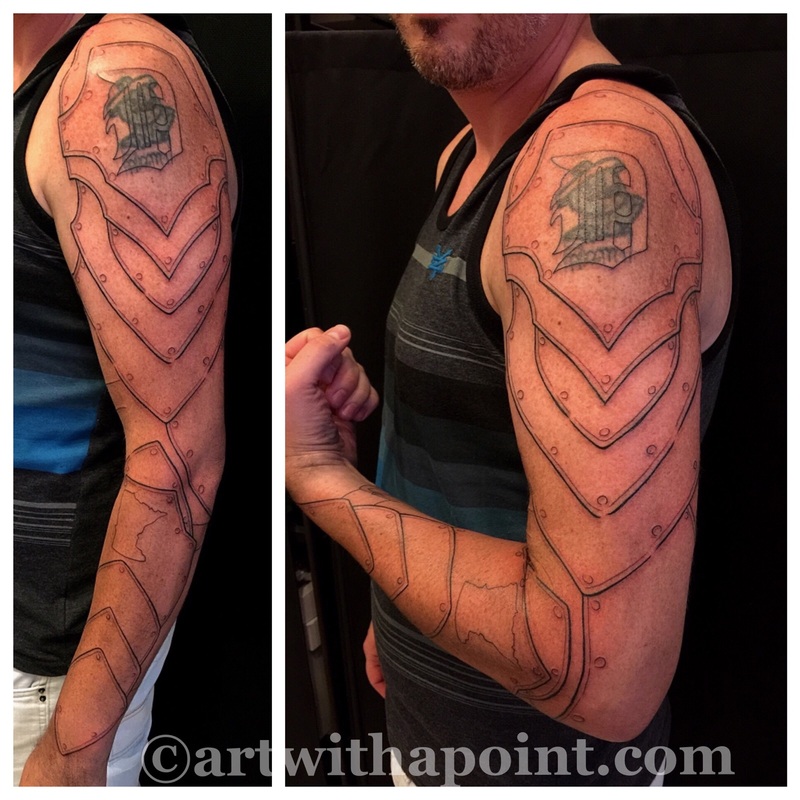 Looking forward to phase two when we complete the coverup, add the chainmail and incorporate shading to provide texture and dimension.